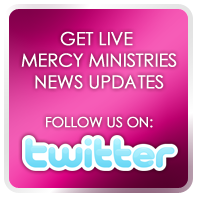 Mercy Ministries News: Come To One Of The Best Women’s Conferences On The Planet!!! Come To One Of The Best Women’s Conferences On The Planet!!! We wanted to tell you about a very special conference coming up Thursday through Saturday, September 22nd to 24th that you will not want to miss! The 2011 Designed For Life Conference is hosted by Pastor Debbie Lindell at James River Assembly in Springfield, MO (Ozark). This year’s theme is “Just Be…” and it is sure to be more memorable than ever! Mercy Ministries Founder and President, Nancy Alcorn, had the privilege of speaking at this conference in 2009, and it was amazing to see how much God impacted the lives of everyone in attendance. This year, Nancy will be speaking along with Pastors John and Debbie Lindell, Charlotte Gambill from Abundant Life Ministries in the UK, and Pastor John and Helen Burns from Relate Church in Vancouver, Canada. The music will be provided by Christian hip-hop band and Mercy Ministries Artist Partner, Group 1 Crew. There is still plenty of time to mark your calendar and make your plans to attend. The cost of registration is $89 until August 18th and then $99 from August 19th up until the day the event begins. There are also special student, single mom and group rates available, as well as a fantastic “Designed For Life Kids” program for children during the sessions. The conference begins on Thursday evening, September 22nd and ends on Saturday afternoon, September 24th. 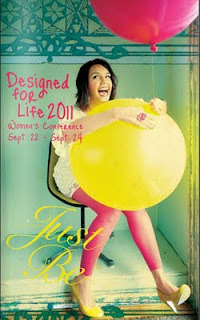 You can find out more information about this awesome event by going to www.designedforlifeconference.org. Our Mercy girls and staff from St. Louis will be in attendance, as well as a huge group of former Mercy residents. We are very, very excited about this special conference that will encourage, inspire and equip you to live life well. YOU DO NOT WANT TO MISS THIS!!! We hope to see you there! Time to Sign Up to Run For Mercy! Thank You For Showing Your Support! Designer Bags Auctioned For Mercy! Mercy Mission Team Back From Uganda! The Mercy Message spreads to Delaware! Five More Amazing Graduates Transformed By Love!